Tony Burger, director of financial analysis, is also now serving as interim director of procurement services. Tony, who has more than 30 years of financial and project management experience at U-M, is well known to the university community and is very familiar with the many complexities of the institution. His extensive experience and institutional knowledge will be invaluable in helping Procurement Services to continue supporting U-M’s core missions of teaching, research, and patient care by providing a broad suite of services and exemplary customer service. Read Tony's bio for more information about his background and responsibilities at U-M.
Property Disposition not only benefits the university community by disposing of—and selling—its surplus equipment, but can also have a significant impact on charities and non-profit organizations across Southeastern Michigan. The department recently reached out to Gifts For All Gods Children (GFAGC), a local organization that helps at-risk children, with an offer to familiarize the Rochester Hills-based charity with the diverse selection of low-cost items available at Property Disposition. Chuck Sulikowski, general operations manager at Property Disposition, facilitated an outing for administrators from GFAGC to tour the warehouse and shop for items, particularly laptops, to support their summer camps. And the Property Disposition staff—which routinely works with charities to help maximize their limited funds— was eager to help the group find nearly 40 laptops to be used at the summer camps. In a letter to Chuck after the shopping experience, Susan Gawencki, curriculum director of GFAGC, wrote: "We thank U-M for the great opportunity to purchase laptops at such a bargain price. We were able to add an educational online Literacy and Math program to our camp for at-risk kids this year and they loved it! We will be using these for our tutoring program as well, all year long." Susan also enclosed photos of the children using the laptops, which appear below. Procurement Services recently completed a series of brown bag sessions to obtain feedback from customers about U-M’s travel program. Procurement Services welcomed nearly 150 attendees over seven sessions that were held at Ross School of Business, Biomedical Science Research Building (BSRB), Wolverine Tower, Palmer Commons, Dearborn campus and has been invited to a meeting in Flint to be scheduled in October. Feedback was received on topics from individuals who book travel, create their own expense reports, create expense reports for others, and some who approve expense reports for others. A great deal of positive and constructive feedback was received, including suggestions around reporting, receipt handling, and approval workflow. Many questions about the university’s travel and expense program were answered as well. In addition to obtaining customer feedback, information about mobile apps and improvements coming with the new user interface (UI) for Concur was shared at the sessions. Procurement Services was also able to solicit some volunteers to participate in a pilot program for the new UI. Those participants will have the opportunity to perform their everyday tasks using the new UI and provide feedback to Procurement Services. The next steps are to review the feedback received, determine changes that can be implemented, and begin working on a timeline. The good news is some of the suggestions that were received are already implemented in the new UI. Photo (top): A group of Concur users asking questions and giving feedback during a Brown Bag held at the BSRB in July. Photo (bottom): Pictured at a Brown Bag in July, left to right: Carolynn Blankenship and Stacy Weller of Procurement Services, Michele Evans and Anne Kadrovich from U-M Psychiatry, and Karen Sturtz from Human Genetics. Effective August 1, 2018, the Big Ten’s agreement with National Car Rental and Enterprise Rent-A-Car no longer includes damage waiver and third-party liability coverage for personal—not business—use in the U.S. When renting a vehicle for personal use from National or Enterprise, you should check with your personal automobile insurance company to determine if you need to purchase insurance for your rental. There is no change to the Big Ten’s agreement with National and Enterprise for vehicles that are rented for university business. You should always decline the damage waiver and third-party liability coverage when renting a vehicle that will be used when conducting business on behalf of U-M in the U.S.
Procurement Services’ Audit & Compliance (A&C) team is developing training for Concur. This training will cover travel and expense policy, business processes, system navigation, best practices, and system tips. Concur 101 will be provided as a presentation and will be offered at two Ann Arbor locations as well as on the Flint and Dearborn campuses, beginning in October. After the October kickoff, A&C will come onsite for unit specific training upon request. If interested in an onsite visit, please send your request to procurement.services@umich.edu or contact (734) 764-8212, option 2. Procurement Services is running a pilot in the fall with the new UI to help identify process changes. New training materials will be compiled, MyLinc training will be updated, and the new UI will be rolled out university-wide January/February 2019. Would you like to receive timely communications regarding updates to our travel program, changes to policies or processes, and news from the travel industry? If so, you can now opt in to U-M Travel News! Meet Stacey Glemser, financial intermediate manager, who joined the university in March 2015. Stacey oversees four teams in Procurement Services: Property Control, Space Analysis, the budget analyst team, and the business office at Print/Copy/Mail (PCM). Prior to coming to U-M, Stacey served nearly 10 years in the United States Air Force as a financial manager. Her drive for process improvement led to 4 Best Practices adopted by the Air Force and an Excellent rating in their Unit Readiness Inspection. Stacey was fortunate enough to be stationed in Colorado Springs at the Air Force Academy, Wright Patterson Air Force Base in Ohio, and spent six years at Hickam Air Force Base in Hawaii, where she served as the quality assurance manager. Upon separation from the Air Force, Stacey spent nine years at a collegiate-licensed apparel manufacturer, J. America LLC, where she started as a compliance manager and then worked her way up to director of operations, managing compliance, logistics, warehousing, technology, purchasing, and quality. Stacey wears many different hats for Procurement Services. A little over a year ago she took on the responsibility of Property Control and Space Analysis. Recently, she led a team through a two-year rate analysis for PCM, which included evaluating costs and pricing for over 600 products offered by PCM—such as business cards, brochures, letterhead, and posters. Stacey has also played a significant role in the process improvements with capital equipment, including the biennial inventory and tagging of equipment. Stacey has used the processes she learned in Lean Change Management to work through process improvements in all her areas of responsibilities. Her passion for Lean is so strong, she recently enrolled at Penn State World Campus for her Master’s in Organization Development and Change and expects to graduate in May 2020. 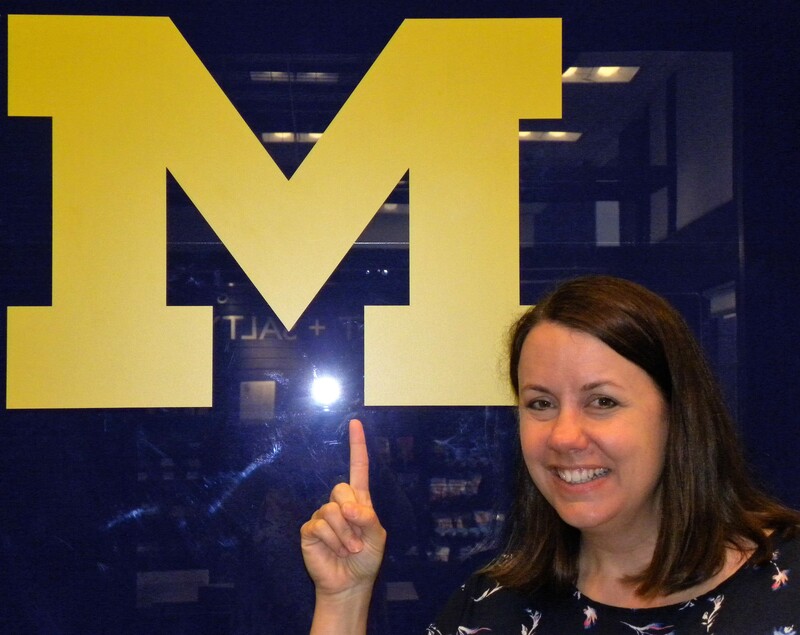 In addition, Stacey is currently working on her green belt certification in Lean Six Sigma through College of Engineering Integrative Systems + Design at U-M.
Stacey met her husband Chad, who was in the Navy at the time, in Hawaii. They have been married 16 years and have one son named Jax. When she has spare time, she loves hanging out with her boys—either watching movies, working out together as a family, bike riding, playing paintball or laser tag, swimming in their pool--or relaxing with a book. She can be reached at staceygm@umich.edu or (734) 764-9783. Property Disposition will be holding a live vehicle auction on Saturday, August 25, at the Washtenaw Farm Council Grounds at 10 a.m. See the auctioneer’s website for more information, including photos of the vehicles up for auction. The last auction, which took place in May, resulted in nearly 60 vehicles--as well as a Bobcat, John Deere tractor, snow plows, mowers, floor scrubbers, and more--being sold for more than $500,000. U-M implemented new federal Uniform Guidance regulations for procurement on July 1, 2018. Federal Uniform Guidance combines a number of individual rulings from the U.S. Office of Management and Budget (OMB) into a single regulation that’s aimed at increasing financial accountability and transparency. Fortunately, the university’s procurement policies have historically been closely aligned to federal requirements, so the impact of the new regulations is fairly minimal. There are, however, three notable areas in procurement that were affected by the recent implementation of the new regulations. Procurement Services has been conducting outreach efforts with the research community since last spring about the new regulations. If you have any questions, please contact the Procurement Solutions Team at (734) 764-8212, option 2, or procurement.services@umich.edu. More information on Federal Uniform Guidance. Read the updated Acquisition, Use and Disposition of Property (Exclusive of Real Property) SPG 520.01. For complete step-by-step procedures on how to navigate the “Manage Requisitions” page, see Manage eProcurement Requisitions and Purchase Orders. These procedures, along with additional helpful resources, can be found in the “ePro & PO Tracking” section of the eProcurement Resources page within MyLinc (you will need to log in to access these links). U-M recently solidified its relationship with Cisco Systems by entering into a new strategic agreement with the IT company that significantly increases the overall discounts and value-added services offered to the university. 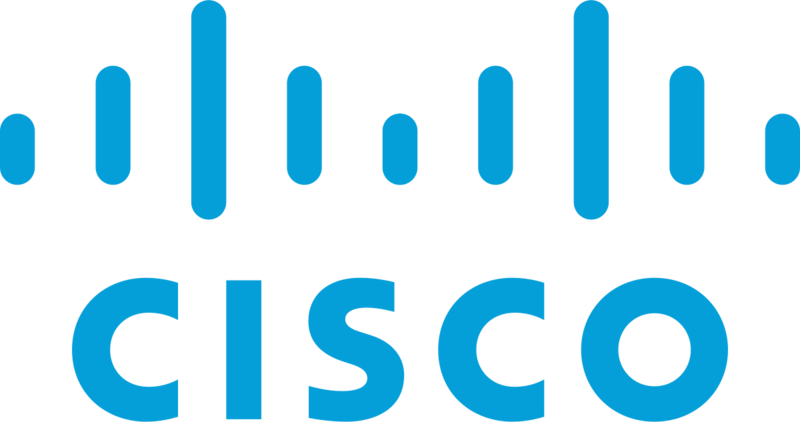 Cisco develops, manufactures, and sells networking hardware, telecommunications equipment, and other high-technology services. The new agreement brings the campus units and Michigan Medicine under the same supplier umbrella, allowing for opportunities to both standardize equipment and reduce costs. Previously, individual contracts limited the university's ability to leverage its total spend. "This new agreement provides many benefits to the university, from more cost-effective pricing to standardized services. The collaboration demonstrated by the various IT groups across the university was a key factor in both developing and finalizing this agreement. U-M has a diverse and complex set of IT needs, so the input and feedback from our IT partners was invaluable to this entire process and will serve as a model for future efforts,” Ted Eisenhut, procurement manager, said. Because of the many complexities of the university's IT needs, the amount of money spent on technology varies from year to year, but the savings from the new agreement with Cisco are expected to exceed $3 million over the next three years. Please contact Ted Eisenhut at eisenhut@umich.edu if you have additional questions.